Last night PB decided to drive here so he could miss today’s Labor Day traffic. Even though he wasn’t going to arrive until 1 AM, I was so excited I couldn’t sleep, so what did I do? Cook, of course! (Well, after vacuuming and polishing my floors and rearranging furniture). My inspiration was the “savory turkey bacon egg white mini quiches” I saw on seebriderun.com a few weeks ago. Caitlin has a great concept here.. throw a hodge podge of your favorite egg ingredients into muffin tins and end up with a delicious, healthy, and BEAUTIFUL meal. ohh and it was SO easy! I picture myself making these for my next brunch for sure! 1. Preheat oven to 350 degrees. Spray muffin tin with nonstick cooking spray. 3. Add the tomatoes and basil leaves and mix together. 4. Fill each muffin tin 2/3 of the way up. 5. Sprinkle goat cheese over the top of each muffin. 6. Bake at 350 degrees for about 30 minutes, and then broil for 2-5 minutes until the cheese is nice and golden brown. My version made 8 muffins. I wanted a big protein punch since this is our lunch for today and I know we aren’t having any protein at dinner (it’s homemade pizza Friday!). If I were to do it for a normal lunch I would probably have used a little milk instead of the extra 2 egg whites. I just heated this up for 1 minute in the microwave and they were to die for. Also, like Caitlin mentioned in her post here, the possible combinations are endless! Next time I would use a little shredded mozzarella on top, but I didn’t have any on hand. i <3 the new site!!!!!!!!!!!!!!!!!!!!!!!!! Of course I don’t mind you adding me to your blog roll. I am actually flattered to be there. How are things going? Wedding plans coming along ok? Hey if you want to get together at all let me know, I am really only a hop away. It was so cool hanging out the other night, I would love to again. Happy Blogging! 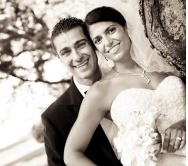 I love the new blog setup and the RhodeyGirl Tests feature! I am honored to be on your blogroll :o). Your pretty face has been plastered on my blogroll for a while now hehe. Haha yay for Blog Roll status!! Thank you soo much!!! 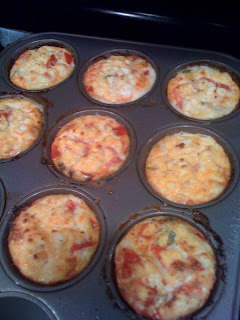 Frittata Muffins sound awesome… I’m always looking for new protein sources! I don’t like eggs much, but I think in muffin form with a crispy crust I might really enjoy them!!! I still think your collapsed banana bread from the previous post looks delicious!! I’ve done that SOO many times. Banana bread is my favorite EVER…so of course I am always so impatient. I love hearing about you and PB too…you are adorable! It’s so cute seeing how excited you are! That’s so awesome!! Take care and have a great long Labor day weekend!!!!!!!! Love the new site. Can’t wait to see what you do. Sorry my friends!! I just figured out that I don’t know you make a comment unless I go to manage comments and then approve them. Anyone know how I can shut that feature off and just automaticall approve them all?!? Foodie (fab and delicious food)- yes of course!!! I would love that! CCV- ooooh thanks!! didn’t know that! glidingcalm- thanks for all your sweet comments, and definitely try the frittata muffins I bet it would work perfectly as a post ice fuelup! And they don’t really taste eggy if you add fun stuff… I suggest spinach and tomatoes yum yum! These don’t look too bad! I wish I could find the right breakfast food that my daughter would eat… I hope this is a winner.